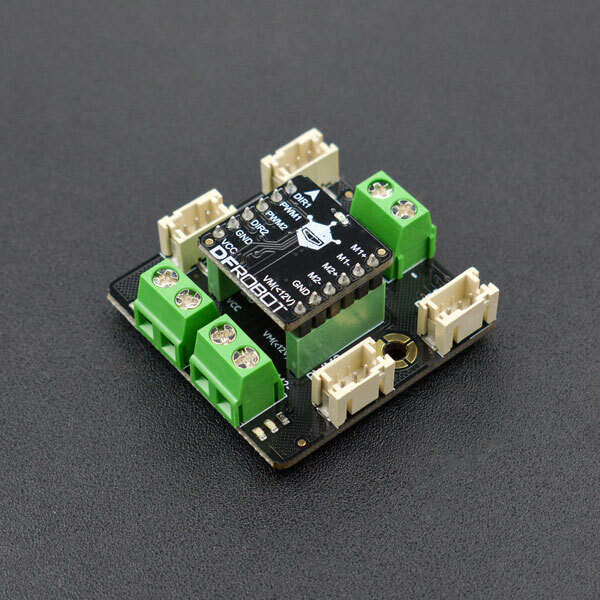 This DFRobot micro dual way DC motor driver with Gravity connector. It is design based on TB6612FNG motor driver chip. It inherits DFRobot L298N motor control logic, which only need four pins to drive 2 motors. The Gravity connector version expands four GPIO with standard Gravity connector. Once you use the Gravity IO Expansion board, it will be quite convenient. TB6612FNG is a dual-channel full-bridge drive chip. The maximum continuous drive current of single channel can reach 1.2A, peak value 2A/3.2A (continuous pulse / single pulse) , which can drive some micro DC motors. 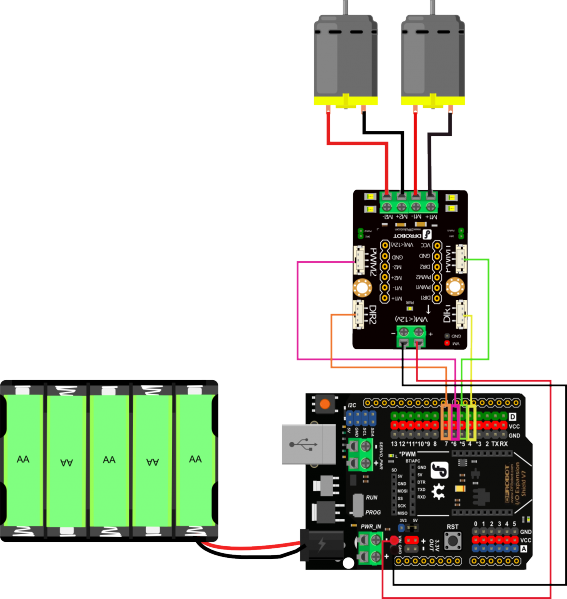 The control logic is similar to L298n, and the code can be directly compatible with the DFROBOT L298N motor driver. Standard XH2.54 pin can be inserted directly into the breadboard. It is a good choice for DIY project or product developments. If you need some tiny module, you can also use the module separately. LED : The motor Turn direction indicator. 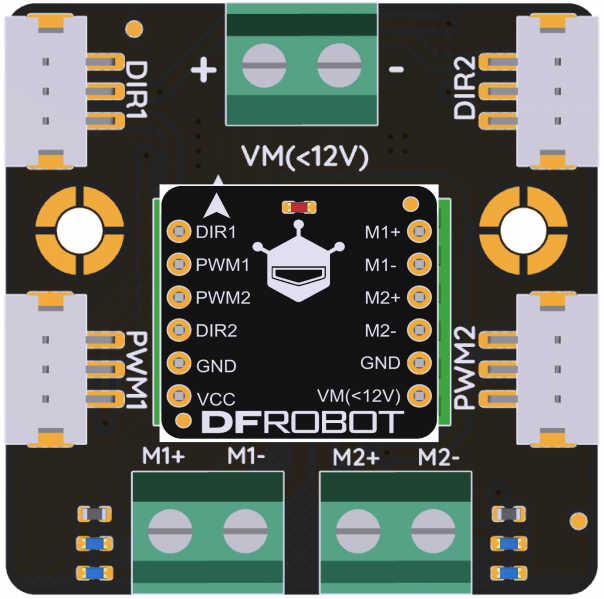 Get 2x1.2A DC Motor Driver with Gravity Connector from DFRobot Store or DFRobot Distributor.